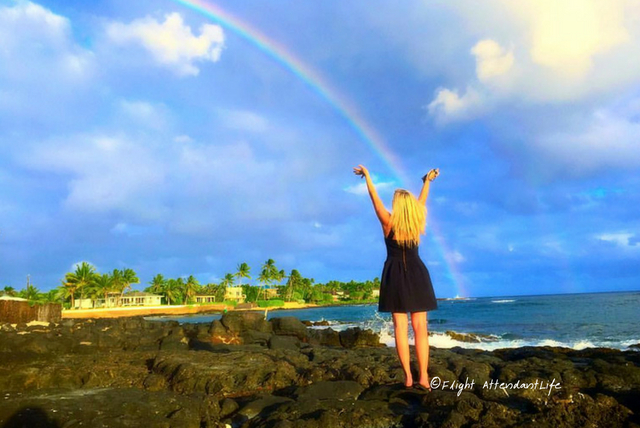 Becoming a commercial flight attendant changed my life completely, but becoming a corporate flight attendant completely transformed my lifestyle, self-confidence, and mindset. The changes that occurred when I was flying for the airlines were noticed as predominantly external differences. I had flight benefits. I traveled a lot more. I moved to Hawaii. When stepping into private aviation, I never realized how much of a personal growth journey the career would end up being. The love I experienced for the job was more about who I became in the process and less about the flights, money, celebrities or outcome. I always believed that I would never love private aviation more than commercial airline jobs, but discovered more fulfillment and fun as a private jet cabin attendant than I ever imagined. 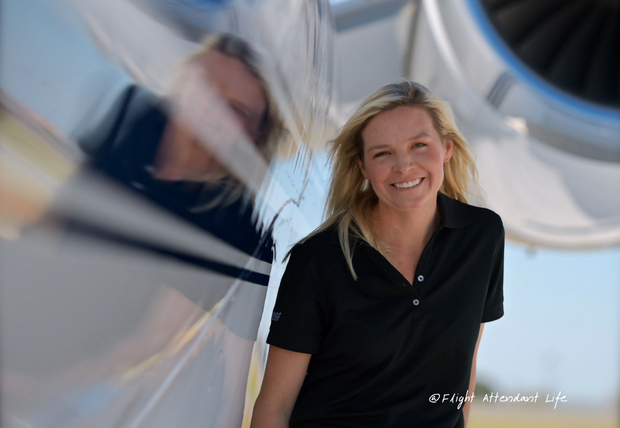 Here are five reasons why private jet flight attendant life was so world transforming for me and how it can change your life, too. Constantly, I was terrified by nerves when I would get private jet flights. I would get so nervous that I couldn’t eat, sometimes. I was ALWAYS living waaaaay beyond my comfort zone, and due to this, I built confidence in myself and what I was capable of accomplishing. Every time I made it through a flight— getting callbacks and thank you’s— it was one more confirmation that “I could do this and I could do it well—EVEN when I was scared.” I build so much self-confidence in facing fears and doing so with poise, purpose, and passion. I never expected becoming a private jet flight attendant to change me in this way, but it truly is one of the biggest blessings of choosing this career. Believing in yourself is one of the most amazing gifts and most life-changing states of mind. “When was the last time you have cooked steak?” the principal on the flight asks. I pause slightly before responding, “I’ve actually never cooked steak before. This was my first time.” “Wait, what? !” Yep. You heard me right. I’m a picky eater by nature and being raised vegan has limited my knowledge of food, but becoming a corporate flight attendant has changed so much for me. I notice the way food is plated, how others dine and challenge myself to make things that I don’t eat. It’s actually quite fun. There are also many ways I can learn and classes I can take, like Davinci In Flight Training. When I was a commercial flight attendant, all I ever wanted to do was see how many days off I could get during a month. It was more rewarding going on my own adventures than joining the airline for theirs. As a private jet cabin attendant, I honestly don’t want to disappear on my own holidays— even though now I can finally afford whatever vacays I want. All I want to do is work or be home. Work is so rewarding and the possibilities of where I could go and for how long are absolutely endless. When it’s a ‘workation,’ I either get a per diem to cover my on-the-road expenses or everything is taken care of by the company and I pay for nothing. I’m also making money when I float around on my unicorn pool float while listening to a tan dude with no shirt serenade me with a Ukulele. Like, really?? Why would I want to go on vacay when I’m getting paid for this??? You’ll learn to believe that anything in life is possible if you are persistent enough. My pilot friend Patrick said it best, recently. “Kara…The year you couldn’t do anything— look what you did?” I smiled. He was referencing the fact that, during my first full year as a corporate flight attendant, I had a broken ankle for ten months of it and worked with a broken ankle, unbeknownst to me, for five months of it. Maybe by sheer force of will or by miracle, I did more during the year I couldn’t do much than in years past. I’ve always personally thought of myself as weak and fragile; sometimes too emotional or sensitive. The experience of going from making literally nothing, with a broken ankle, to eight months later cashing $10,000 checks was belief changing. I don’t think I ever believed that all of what I made it through and what I achieved was possible, but what I did believe is that my life HAD to get better and there was no way in hell that I was going to stop here. People are not more successful than you because they are smarter, prettier, or have better connections. I will be the first to agree that “luck” does play a part, but the biggest component is that some people just keep going. They never stop striving to reach their goals and believe that they can do whatever it is they set their mind to do. I am SO SO grateful that I stepped into private aviation if only for the fact that I have experienced for myself the power of persistence, prayer, and a little bit of patience. You’ll experience the world in a way that few ever will. I’ll be honest. There are very few corporate flight attendants, and there are even less successful private jet cabin attendants. I’ve read that there are approximately 12,000 registered business jets in the United States. Out of those, let’s just say, only 4,000 are large enough to employ a cabin attendant on them. Out of those, only 1,500 actually use flight attendants, because the others are owners who don’t want a private jet flight attendant. So, 1,500…in the entire United States???? Split that between New York, Los Angeles, Miami, and Dallas…ummmm— That’s not many jets to find work on, right? Don’t quote me on those numbers as I simply throw that out there to give you an idea of how exclusive this world is and how lucky private jet cabin attendants are when they get ONE FLIGHT! Just one even! These men and women are rare, see the world, and interact with billionaires and celebrities in an environment that most NEVER will be able to do or understand. It’s a one of a kind adventure. It’s a gift to be a private jet flight attendant. Have questions about starting your own life-changing adventure? Sign up for our FREE weekly email where I answer all of your ‘flight attendant life’ questions.